Paint 3D is the new modern UWP (Universal Windows Platform) graphic editor software developed by Microsoft to replace the good old Paint application, which has been bundled and came together with almost every versions of Windows operating systems such as Windows XP, Windows 7, Windows 8, Windows 8.1 and Windows 10, while stays true to the classic, almost unchanged over the years. Beginning from Windows 10 Creators Update version 1703, Paint 3D is included by default in Windows 10 operating system. 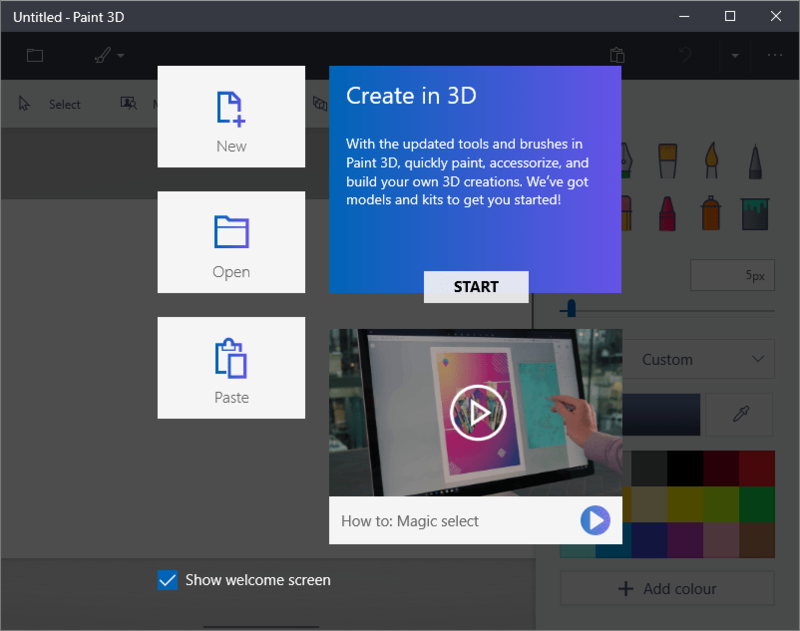 Paint 3D builds on the original Paint app, while adding various features, brushes and tools to create and build 3D models out of 2D images. If you’re not fond of 3D creations, tutorial below shows you how to remove Paint 3D from your system. Note that in Apps and Features of Settings app, the Uninstall button is disabled and grayed out for Paint 3D, making uninstallation impossible via GUI way. Run as administrator the Windows PowerShell (Search from Cortana and right click to select “Run as administrator” or open “Windows PowerShell (Admin)” from Power User Quick Access menu if it’s not switched to Command Prompt). If you’re getting any error while uninstalling Paint 3D, check the command is typed correctly, and that Windows PowerShell is ran as administrator. You can reinstall Paint 3D from Microsoft Store (previously known as Windows Store) app in Windows 10. After uninstalling Paint 3D, you may want to also remove “Edit with Paint 3D” right click context menu entry.